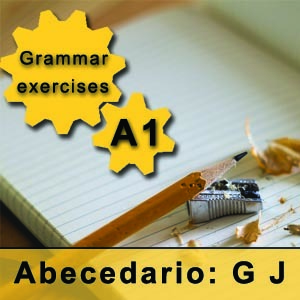 Usa el enlace a continuación para descargar el pdf con este ejercicio de gramática. Previously we saw, when we explained the Spanish alphabet, that each Spanish letter equals just one sound, except for some letters that change their sound based on the vowel they go with. On our last post we learnt the pronunciation of c in Spanish, and today we will have a look at the pronunciation of G in Spanish. The letter which is most similar to the pronunciation of G in Spanish is the J, which reproduces the sound /x/ and appears in words such as “jamón”, or “jota”. In all its combinations (ja, je, ji, jo, ju) it is pronounced the same way. The letter G is sometimes pronounced as the letter J, specifically when it goes with the following vowels: E, and I. For instance, “geranio” and “girasol”. With the rest of vowels (A, O, U) the pronunciation of G in Spanish is with a /ɡ/, as in “gafas”, “gorila”, and “gusano”. Then, how can one pronounce the sound /ɡ/ with E, and I? As we saw, the pronunciation of G in Spanish when it goes with E and I is /x/, not /ɡ/. The answer is very easy: a mute U is introduced between the G and the E/I, as in “guerra” and “guitarra”. You need to pay attention when you find “gue” or “gui” in a word, for, as we have explained, the U is mute, it is not pronounced. See? 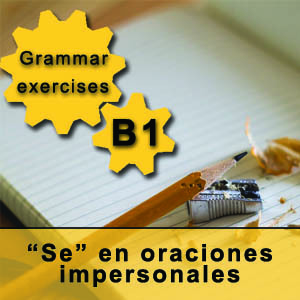 Just pay attention to a some details and you will master the pronunciation of G in Spanish. Now you can download this grammar exercise to practice. For more grammar assistance, if you prefer visual explanations and fewer texts, have a look at our Spanish grammar book, which helps you easily grasp the Spanish grammar. 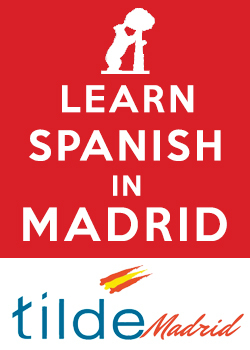 And, of course, we invite you to visit our Spanish school in Madrid to go deeper into the study of the Spanish language! Superb site you have here but I was wondering if you knew of any community forums that cover the same topics discussed here? We do not know any online forum, but we have a community of students here at our Spanish school in Madrid, which you can join at any time.